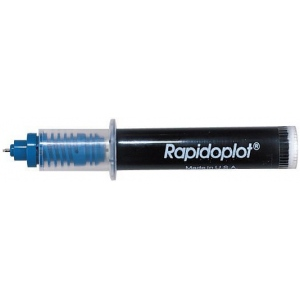 A disposable version of the refillable liquid-ink pen that offers the same high quality plots with none of the mess or maintenance associated with the refillable. * The DPP® is a two-part system comprised of the nib and a pre-filled ink cartridge. * Four different styles of ink cartridge are available to enable work on all of the major plotters. * Inks are black permanent archival pigmented systems. * Direct fit for Hewlett Packard drafting and compatible plotters.